Led by Randy Roach, board-certified in civil appeals by the Texas Board of Legal Specialization, our attorneys effectively advocate our client’s positions to federal and state appellate courts of all levels. Our attorneys also bring their appellate expertise to bear on pre-trial and trial proceedings in cases where an appeal is anticipated. Our active amicus practice helps protect our clients’ broader industry interests when those interests are implicated by other cases and supports our clients’ pending appeals by recruiting amicus support. Roach Newton, LLP is a trial firm that has earned a reputation for expertise in substantive insurance coverage and risk allocation matters. Our list of represented clients includes large and small companies and individuals who cannot obtain fair treatment from their insurance companies. Our firm counsels policyholders concerning insurance coverage and exclusions, the negotiation of pre-suit settlements with carriers and pre-suit litigation strategy. 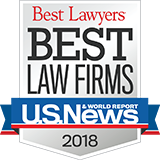 Roach Newton provides a full range of dispute resolution and litigation services, representing clients in alternative dispute resolution proceedings (mediation and arbitration), pre-trial, bench or jury trial, post-verdict, and appeal. At every stage, Roach Newton’s attorneys rely on a law-based litigation strategy designed to narrow the issues in dispute and resolve the case economically.